COME CRUISE THE BUFF! Dinner Banquet – Dec. 6th 5-9:30PM. 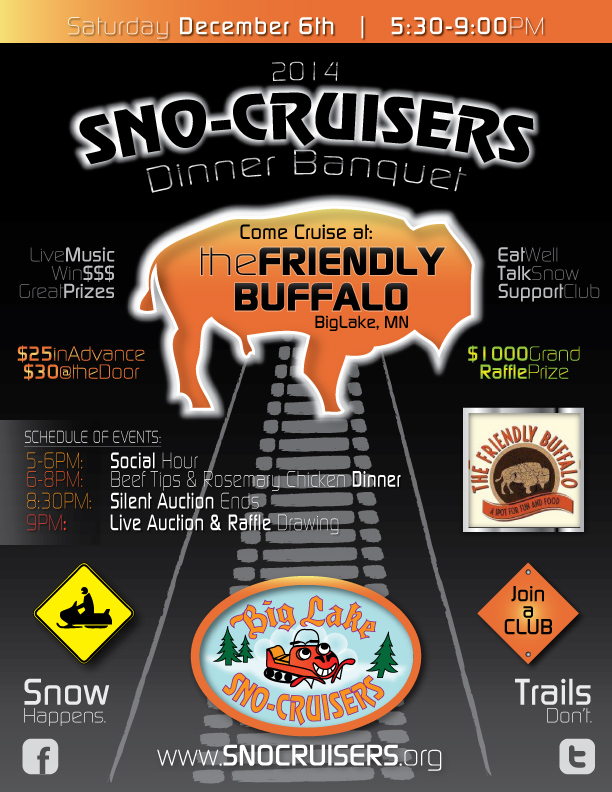 Please cruise with us for a night of fun, prizes, dinner, snowmobiling, and helping the club create best trail system Sherburne County has to offer!